When you’re ready for video quality that is pro-grade and powerful, the Nikon D5100 video camera delivers on expectation and offers a plethora of videography opportunity that has far exceeded the traditional expectations of a DSLR camera. Its leading competitors from Canon and Sony offer similar features at similar prices, but struggle to compete with Nikon’s ability to deliver quality video footage with exceedingly user-friendly functionality. What Is the Nikon D5100? The Nikon D5100 is a powerful statement in the game-changing timeline of video features for DSLR cameras. In this article, we will break down this camera’s exceptional features compare them to other leading cameras on the market to help you best consider which of these cameras work best for you and your video production needs. The Nikon D5100 video camera is a DSLR (Digital Single--Lens Reflex) meaning this is a digital camera able to remove and add lenses to suit your shooting needs. Its initial design focus is for photography, but as has become the trend for many DSLR’s on the market, video function has either heavily influenced or dominated consumer needs in cameras today. Nikon is noted to have heralded the DSLR videography revolution in 2008 and has continued to mark achievements in the field with many of its ongoing product installments. If you’re interested in photography but hope to have a flexible future in video, the Nikon D5100 may be the camera for you. With most digital cameras, the sensor is the first point of interest. The Nikon D5100 video camera boasts a 15.7 mm CMOS Sensor which offers 16 Mega Pixels of resolution and notable versatility in low-light situations. Internally it offers a slew of automated features including a fairly fast autofocus system, internal features like fisheye filters, color filters and more and obviously HD video recording formats and functions such as 24, 25 and 30FPS filming at 1080p. The Autofocus is an 11-point autofocus system which can take up to 2.41 seconds in live view to focus. While recording this can be undesirable as the focus motors make a bit of noise and can pollute the audio in your footage. The 3 inch LCD screen plays back at 640x480 resolution, which isn’t necessarily the best but good for its size and era and the camera itself is a fairly lightweight 19.7oz. 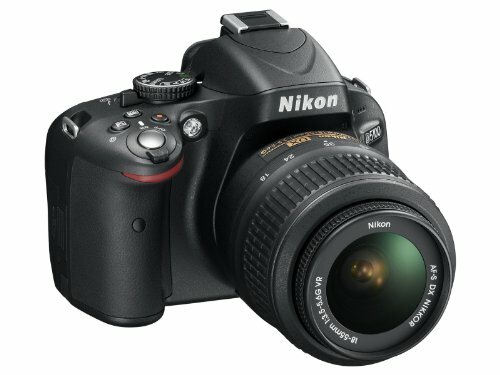 Now almost around 10 years old, the Nikon D5100 is an extremely reasonable and easy to find a camera on most online vendor outlets. Amazon lists it used (Body Only) for a little over $$$, and other vendors are not too far off from that figure. To provide you with the most information and means available to better select the camera that works best for you, we have compared the Nikon D5100 with three other cameras on the market for a comprehensive breakdown of options and features against other competitors on the market. If nothing else, this camera stands out for price. Used models online for less than $300 make this an absolute delight for first timers to get involved. Comparatively speaking, this camera handles video well with at 1080p output at both 24 and 30fps. Unfortunately, with no 720p60 video recording, this camera suffers from doing one thing well and otherwise not providing much in the way of changing up your footage. External features are necessary for low light scenarios and absolutely anything requiring clean audio as the microphones on this camera are off low quality. With a 16-megapixel sensor and an ISO range of 24600, the Nikon D5100 contrasts its competitors in quality by slipping up a bit in these distinctive zones. Also, with 4000 LPH and RAW output capability, the exposure quality of this camera can be easily overcome with a quality output software. Nikon purists will love the steadfast Nikon approach to the Nikon D5100 video camera's button layout and will be pleased to see video-friendly updates like a 270º rotating screen for height and low shooting as well as easy access autofocus features. Meanwhile, the internal automation systems are something to be appreciated and have continued the standard of quality often associated with the Nikon brand. Nearing a decade in age, you’re at the mercy of your vendor for how your warranty treats you. Amazon.com proudly offers 3- and 4-year warranties at about ¼ the cost of purchase, so it is debatable whether it’s worth that kind of cost in 4 years when the value of the camera is likely to lower considerably. The Canon T3i in so many ways is very much akin to the Nikon D5100 in performance ability and design. Both have their diehard fans, and both exceed one another in various forms, but overall this camera offers the same degree of photography ability and enhanced video ability that the Nikon D5100 contender offers. Some advanced features include the 18 MP sensor quality and the larger screen size but aside from that, the differences are small. With the two additional Megapixels, the Rebel may look like it edged out the Nikon D5100 video camera, but then suffers pitfalls like the 9pt Autofocus system. It does exceed Nikon for 1080 shooting at 60fps though, which will please filmmakers to hear. With only 18 Megapixels, it’s hardly head and shoulders above the Nikon D5100 and not at the over 20-mark that the Sony and Pentax cameras demonstrate on this list. The resolution mark can reach up to 4000 LPH (Lines Per Picture Height). The layout appeals to its existing user base but does not disappoint new users interested in embarking on their video or photography futures. Amazon.com offers warranties but the cost of the warranty compared to the value of the camera makes it easy to argue against the warranty. It covers up to 4 years but could be likely that the value of just buying a new camera at that point would be justifiable. This is a relatively new camera, so it’s tricky to find discounts of any kinds. Amazon.com lists this camera for around $600 for the body only. It’s fairly modern, so compared to the others, the Pentax K-70 has had time to catch up and iron out any kinks in its HD 1080p shooting. It also offers multi-codec shooting in either H.264 or MPEG-4 at any of 60i,50i,30p,25p,24p fps. It exceeds the quality of other cameras on the list, but you’ll be paying for it. The 24.0MP APS-C sensor offers fidelity and quality to your photos, and the High-Resolution Mode is an added feature that makes this camera stand out in comparison to its contenders. This camera has had time to advance on the design of the Nikon D5100 video camera and Canon T3i which has provided a well-designed and tailored feel for budding camera enthusiasts. It does stray from more traditional photography layouts, which in turn has garnered less enthusiastic feedback from diehard Nikon and Canon users. The 3- and 4-year warranties are reasonable when compared to the $700 price available on Amazon.com. The Pentax K-70 is a relatively recent addition to the plethora of DSLR cameras on the market, only just making its debut in 2016. But compared to the Nikon and Canon contenders, it offers similar performance with some modern additions to its function. With a 24 MP sensor and only 11 points of autofocus on screen, it is pretty competitive with its Canon and Nikon counterparts. Meanwhile, 1080p HD shootings mean its video component is no slouch either. Where this camera shines are its internal features like built-in Wi-fi, face detection focusing and time-lapse recording. For close to $600 body-only, this camera is an investment in refining the qualities of the Canon T3i and the Nikon D5100. It as a true advancement, but difficult to justify the price difference. Some advantages though come in the form of this cameras compatibility with Minolta alpha lenses which means more variety and availability as well as cost differentials for existing lenses on the market. The massive sensor and the 1080p video output means that you and your projects will enjoy video output that is quality and pristine. Meanwhile, the stellar autofocus feature assures your footage will tact-focused and exceptional for every shot. Finally, with a native ISO range of 100 - 25600, it may not be the strongest camera on the market today, but it definitely stands out as one of the most exceptional featured on this list. At 6000 x 4000 pixels, these photos will have plenty of room for cropping, resizing and maintaining quality through whatever processing you put it through. Meanwhile, it’s RAW format option means you have more extensive control of color and post-processing when developing. Age has provided advancement for this camera, but without internal W-Fi, touch screen, lacking resolution, poor light performance, and other negatives, it reflects on this camera's quality that time could not influence a more advanced design. Sony is often a leader in internal camera tech and processing power. This means the Sony A68 stands out against the Nikon D5100 video camera and others for its features more than the hardware. Its 24MP APS-C CMOS Sensor makes it one of the strongest on this list, while its 79 Focus Points make it a triumph for automation and an exciting option for cinematographers interested in breaking into the scene. For video production, versatility and price, the Nikon D5100 video camera is a marvel for its time and continues to provide an exemplary resource to photographers and videographers alike. Its HD shooting capabilities coupled with its ergonomic design assures this is a filmmakers tool that has and will continue to stand the test of time for years to come. Its age shows and so certain missing features like Wi-Fi, AF micro adjustment, image stabilization and lacking environmental sealing have proven the camera to be only slightly less than immortal. In good hands, though this camera can still proudly produce images that’ll stand out and look great in many mediums. For its price and functionality, the Nikon D5100 video camera is an exciting opportunity for new videographers to embark on quality video filmmaking without breaking the bank. The Nikon D5100 Video has a 11-point Autofocus System and 3″ Fully Articulated Screen. However the ISO covers only 100 - 6400. Next articleGopro Hero 4 Silver Vs Black: Which is the Better For You?